a UDMH = Unsymmetrical Dimethyl Hydrazine a UDMH = Unsymmetrical Dimethyl Hydrazine the weight of the oxidizer carried. As shown by Equation (4.12a), the launcher weight ratio is only a function of the carried oxidizer-to-fuel ratio and the weight ratio is determined by the propellant combination. From the propellant combinations in Table 4.5, the value of Wfuel/OWE for the different rocket propellant combinations was calculated and given in Table 4.6. Note that hydrogen carries the least fuel per OWE. With an oxidizer-to-fuel ratio of 6, that means the propellant load is 7.3 times the OWE. The hydrocarbons are five times greater and with an oxidizer to fuel ratio about 2.35, the propellant load is 17 times the OWE. The hypergolic propellants propellant load ranges from 19 to 20 times OWE. From Table 4.6 you can see why one of the famous Russian rocket designers, V. P. Glushko, chose the room temperature liquid UDMH and N2O4 for Proton and the submarine-launched ballistic missiles. The importance of this relationship is that with minimal information a reasonable estimate of the fuel and propellant weight compared with OWE is available. Hydrogen provides the least weight ratio to orbit. Because the density of hydrogen is low, the volume required is the greatest. The weight ratio is decreasing because the oxidizer weight is decreasing as a direct result of the oxidizer-to-fuel ratio. So from Figure 4.23, using hydrogen fuel, an all-rocket engine can reach orbital speed and altitude with a weight ratio of 8.1. An airbreathing rocket (AB rocket) or KLIN cycle can do the same with a weight ratio about 5.5. A combined cycle rocket/scramjet with a weight ratio of 4.5 to 4.0, and an ACES has weight ratio of 3.0 or less. So an airbreathing launcher has the potential to reduce the mass ratio to orbit by 60%. It is clear that results in a significantly smaller launcher, both in weight and size, and presumably also less expensive. To achieve this operationally, the design goal must be, "reduce the carried oxidizer''. It is more difficult if not impossible to achieve this progression of propulsion systems with fuels other than hydrogen. Methane is a cryogenic fuel, but it does not have the thermal capacity to liquefy or deeply cool air, so the hydrocarbon equivalent of a LACE or deeply cooled cycle is not possible. Ramjet/scramjet engine are possible with most of the liquid fuels, although for hydrocarbons the decomposition into free carbon will limit the temperature, and therefore the maximum speed is limited by the hydrocarbon thermal decomposition. Examining the operational regions for each cycle concept we can make several observations. For the same liftoff weight of 616 t the payload for the three systems is 7.0, 6.0, and 15.4 tons respectively. As is usually the case for the air augmented rocket, the increased system weight is not offset by the increase in thrust unless the oxygen in the secondary air is burned. For the ram rocket the payload is more than doubled. The ram rocket is not any kind of technology challenge, as many afterburning turbojet engines have ejector nozzles (such as the mentioned Saab J-35 Viggen). 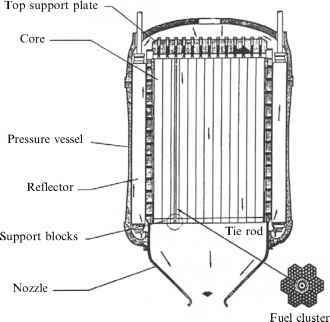 The ram rocket is a simple way to increase payload to orbit using the same rocket engine, or to reduce the size and cost of the rocket engines for a fixed payload.